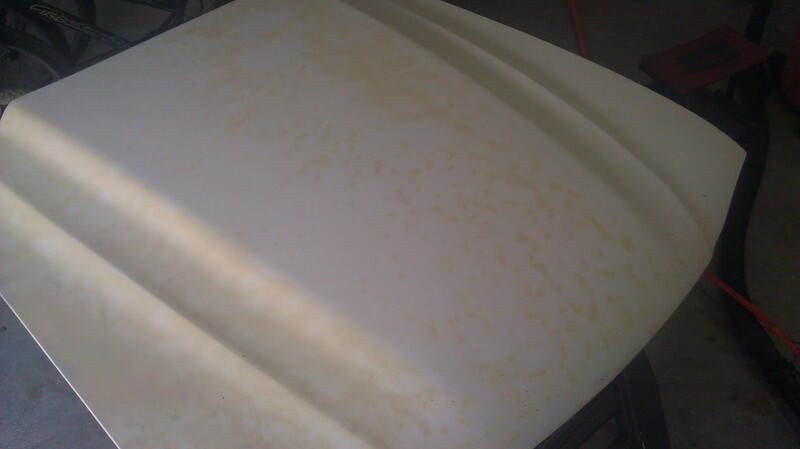 When the fiberglass Cobra R hood was soda blasted, there was quite a bit of paint and primer left on the hood. 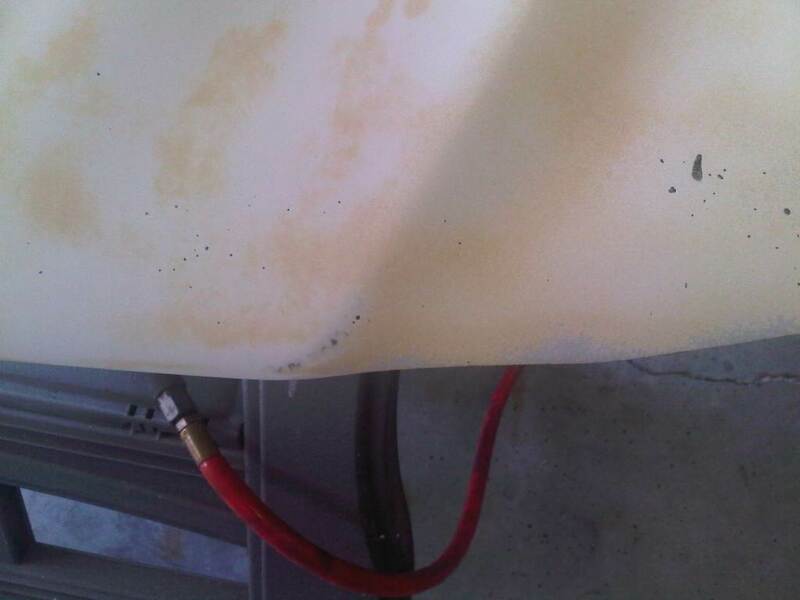 This is because they want to avoid damaging the gel coat at all cost. 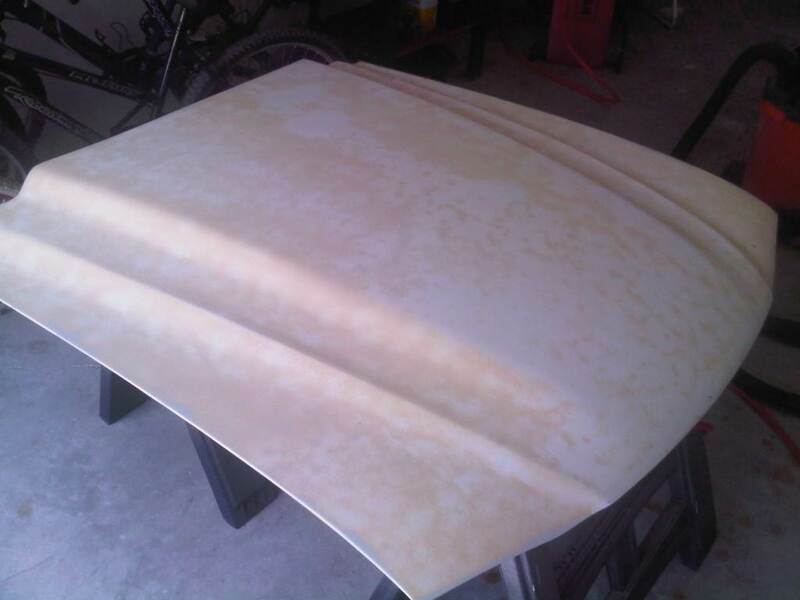 The result is that some sanding needs to be done to get a smooth surface. 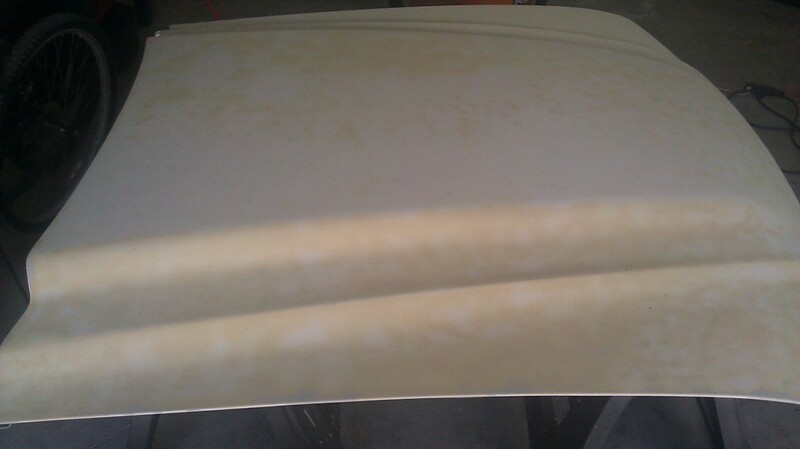 400 grit sandpaper on the DA sander was used to remove the paint and primer without damaging the gel coat. 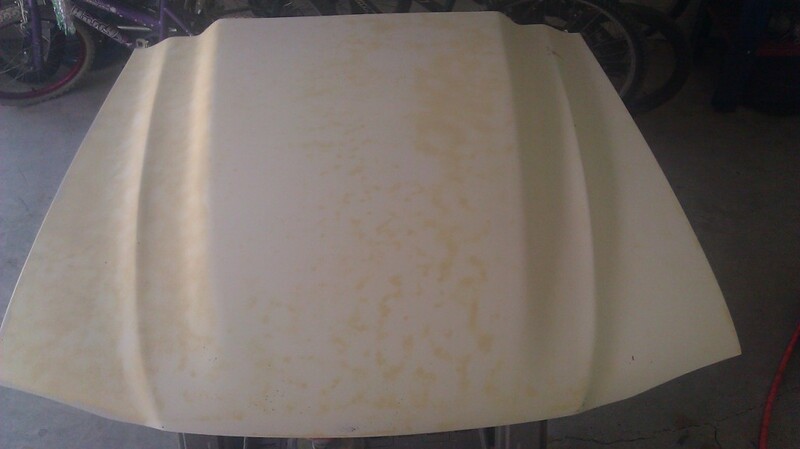 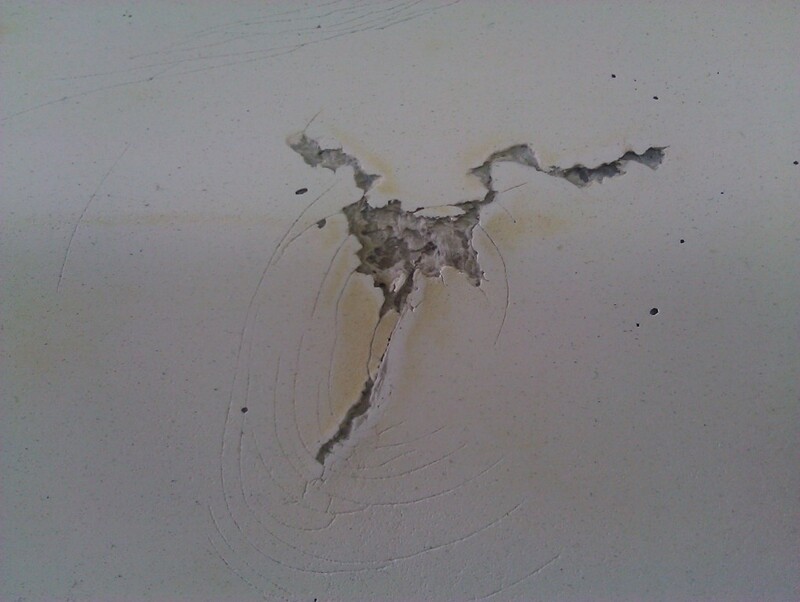 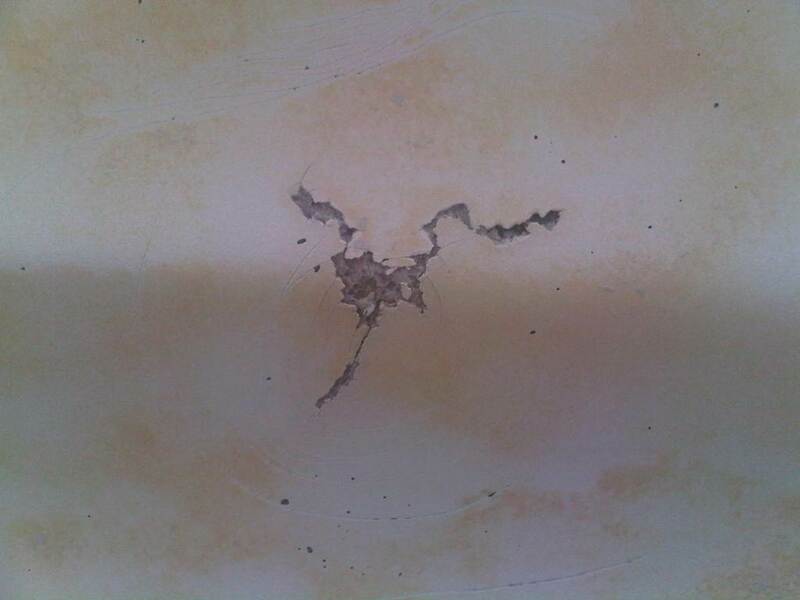 There is one bad crack and hundreds of pinholes in the hood that will need to be addressed when the bodywork on the exterior of the car is done.   You can see in these pictures The progress from a splotchier tan finish to a smooth, white one. 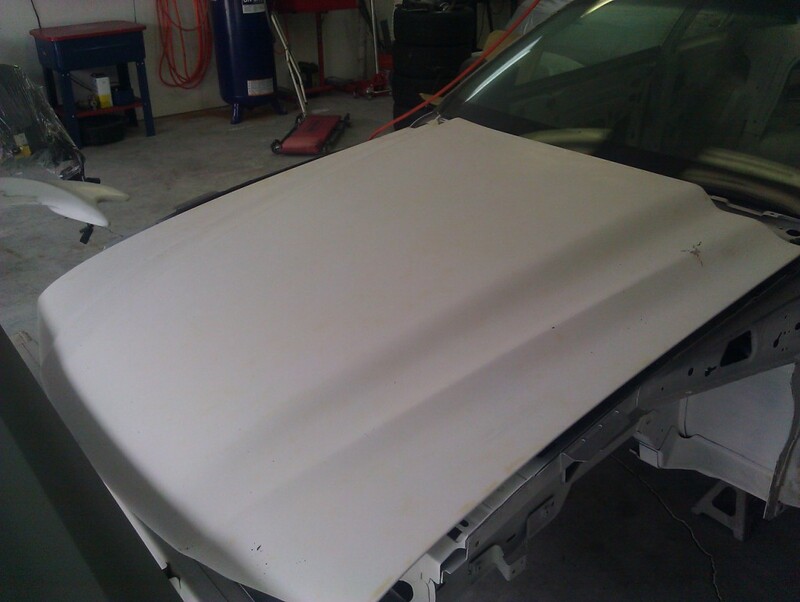 The hood needed some attention underneath also. 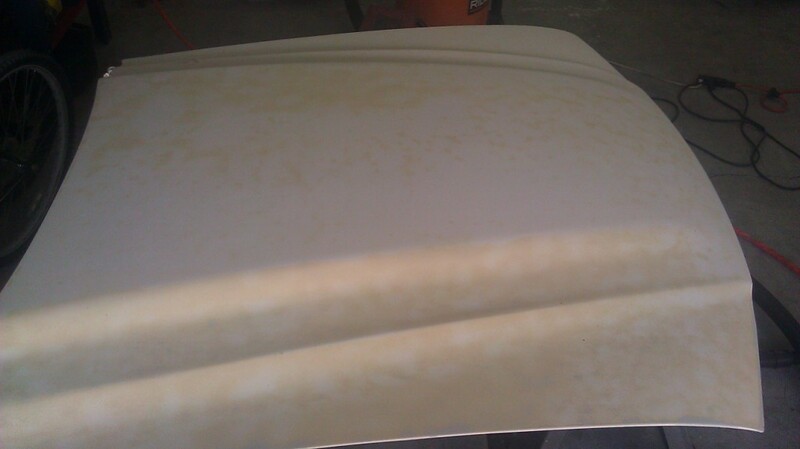 There was a coating of light gray primer coating it that I was not previously aware of. 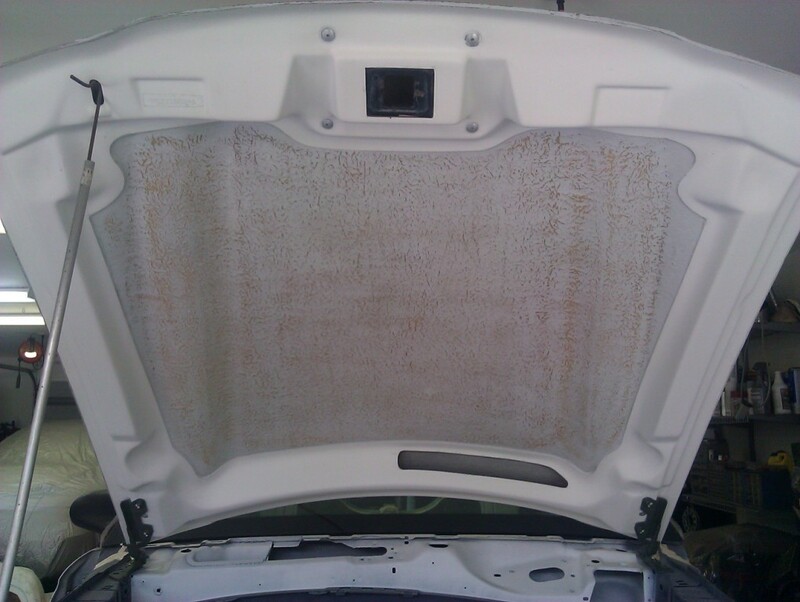 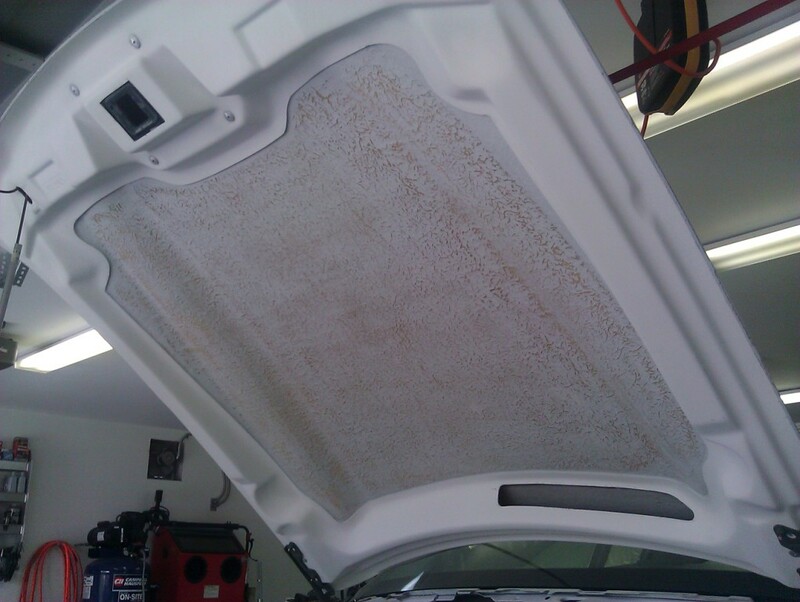 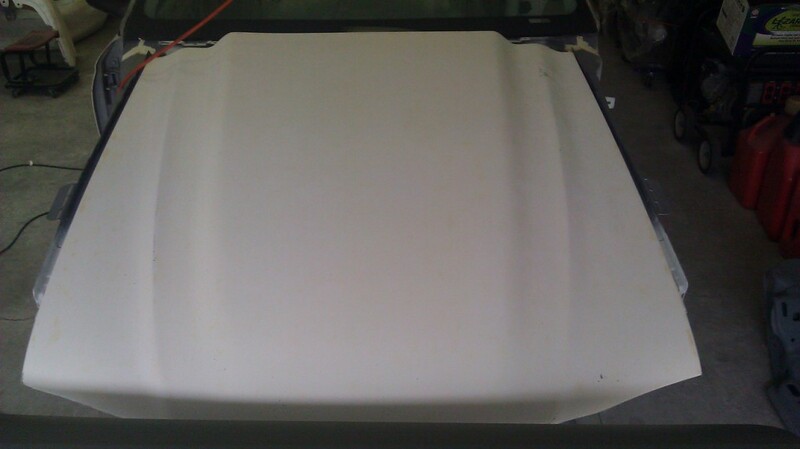 Due to the irregular surfaces, a majority of the hood had to be sanded by hand using a red ScotchBrite Pad. 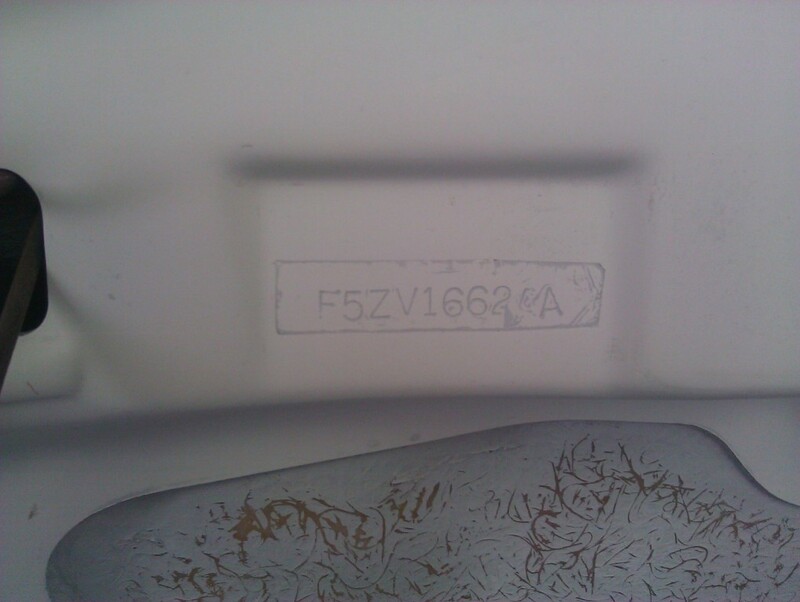 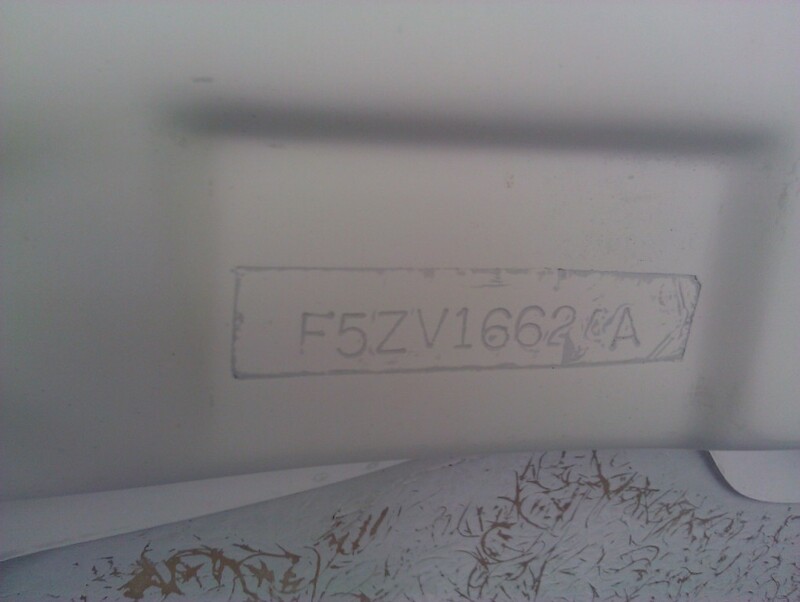 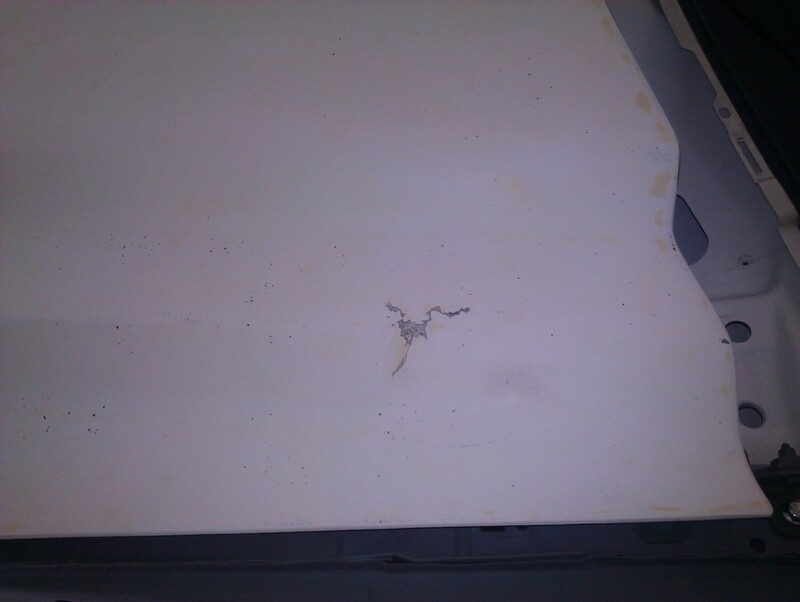 You can see the remains of the primer around the part number.